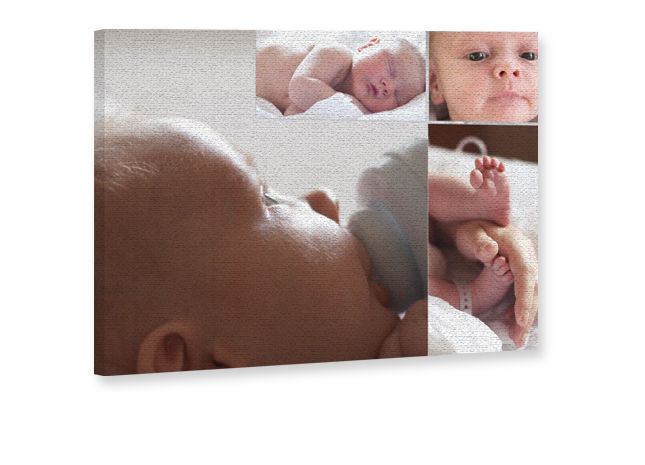 design a canvas print collage! Turn your living room into a hive of creativity. 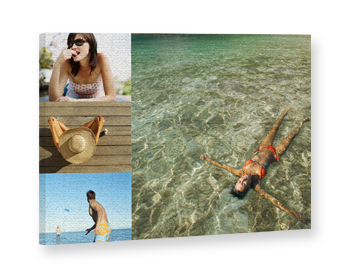 Finally you can have collages of your favourite photos printed on genuine canvas! Simply perfect for anyone who wants to give a personal touch to their home and appreciates real quality! 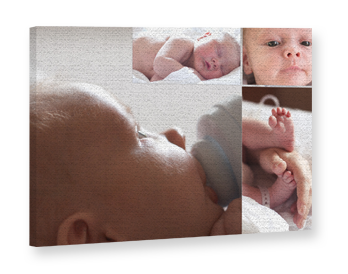 Modern collage templates will help you to arrange your photos just as you want. Tip on choosing your picture: Your favourite picture will be mounted on a quality wooden stretcher. About 3 cm of each side of the picture are needed to fix it to the wall. When you choose your favourite picture, please make sure there are no important details in this area. High quality canvas fabric mounted on a carefully finished wooden frame. Selected formats are also available with a decorative floating frame.